RooneyNovak Group LLC: Long-time PA political operative Mary Isenhour leaving campaign trail for venture with former partner | Rooney Novak Isenhour Group, LLC. HARRISBURG -- Mary Isenhour, a central figure in helping to elect then-unknown-candidate Tom Wolf to a first term as governor in 2014 and a key strategist in his decisive re-election Nov. 6, is leaving the campaign trail for a venture with a former partner. Isenhour, who also served as Gov. Wolf’s first secretary of legislative affairs and as chief of staff during his first term, will join RooneyNovak Group LLC in January as a partner. The firm will be renamed Rooney Novak Isenhour. The firm is currently led by Alan Novak, who was one of the longest-serving chairmen of Pennsylvania’s Republican Party, and T.J. Rooney, a former Lehigh Valley state representative and past chairman of Pennsylvania’s Democratic Party. 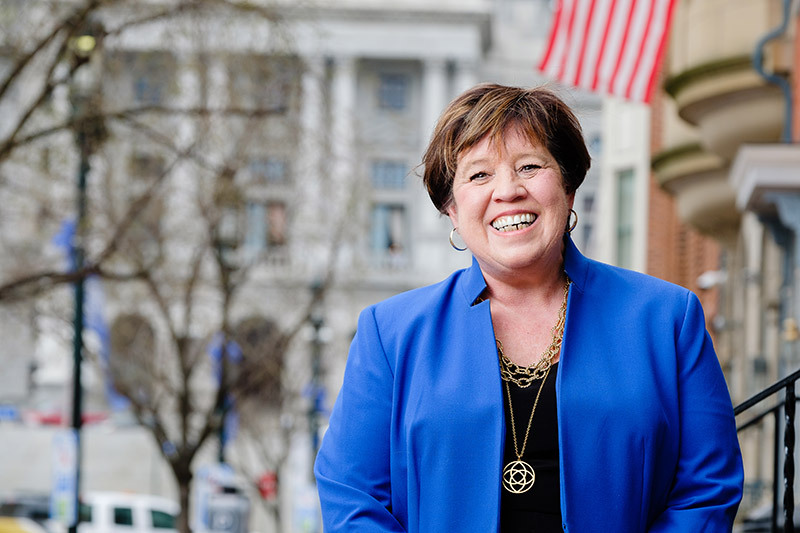 Isenhour and Rooney launched and operated Isenhour Rooney Strategies from 2010 to 2014 before she left for gubernatorial politics. Isenhour was one of the first people Tom Wolf hired in 2013 to serve as a senior advisor to his first campaign and helped to propel him to a win that few predicted. She served as a senior member of his transition team and simultaneously as co-chairperson of the Governor’s Inaugural Committee. After the governor took office, Isenhour served as the first secretary of legislative affairs, a cabinet-level position, and in 2015 became the governor’s chief of staff. She served in that position until 2017, when she returned to the governor’s re-election campaign. Isenhour has more than 30 years of experience in government and campaigns working with elected officials and candidates at every level of government. Before her work with Wolf, she served as executive director of the Pennsylvania Democratic Party, Pennsylvania State Director for Hillary Clinton’s 2008 Presidential Primary Campaign, and a senior advisor to Gov. Ed Rendell and Pennsylvania House Democratic Leader Frank Dermody. In 2006, she ran the state party’s successful coordinated campaign effort that saw wins for Gov. Rendell, U.S. Sen. Bob Casey, four new members of Congress and a Democratic majority in the Pennsylvania House of Representatives. Although a fixture in Pennsylvania politics, Isenhour began her political career with the Kansas House of Representative. In 1995, she became National Political Director at the Democratic Legislative Campaign Committee, and in 1999 arrived in Harrisburg as the executive director of the Pennsylvania House Democratic Campaign Committee. "We help clients cross the chasm of political polarization."